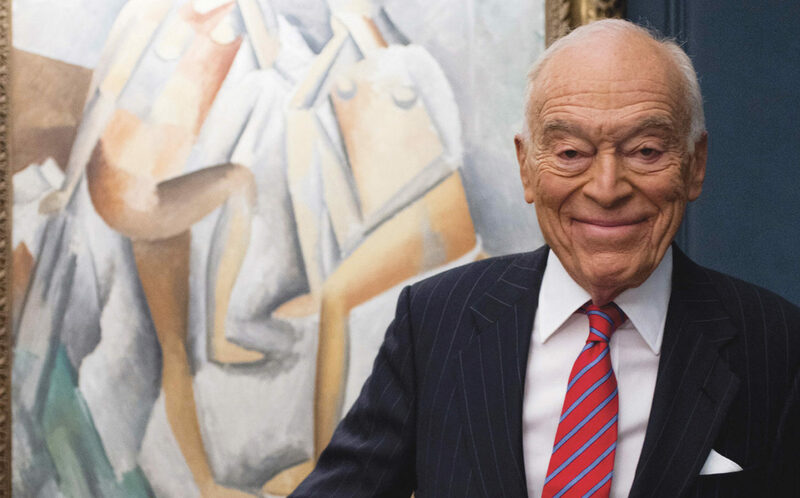 Cubism and tiaras at Federation’s Day of Philanthropy – J.
Leonard Lauder doesn’t buy art to possess it, but to give it away so others can enjoy it. 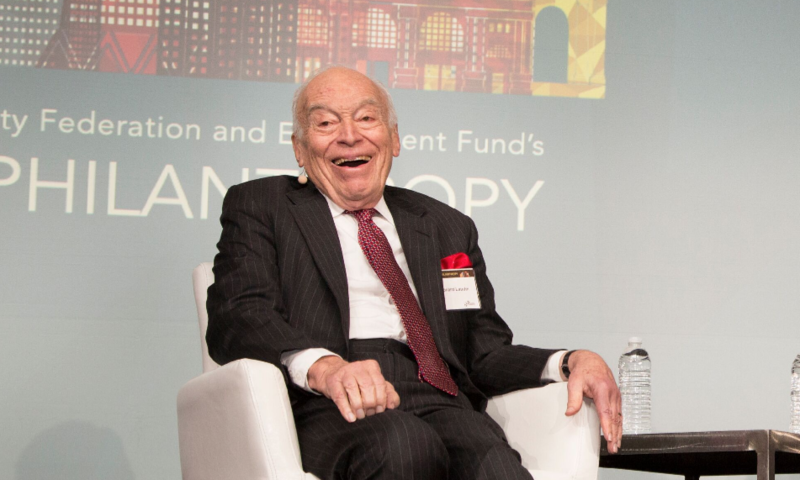 That’s what the mega-philanthropist told some 650 people gathered Nov. 7 at the San Francisco Hyatt for the S.F.-based Jewish Community Federation’s annual Day of Philanthropy. Lauder addressed the gathering at the behest of his son, Gary Lauder — who introduced his father, calling him “that rare combination of mensch and success” — and his daughter-in-law, Laura Lauder, who chairs the Federation’s endowment committee. Kicking off the day at a gala luncheon preceding an afternoon filled with workshops, Laura Lauder announced that last year alone, the Federation invested more than $22 million in the Jewish community through direct grants, as well as stewarding $176 million in donor-directed grants to Jewish and non-Jewish institutions. 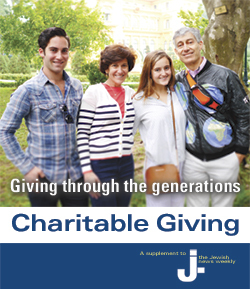 In total over the past 12 months, 10,000 grants went to more than 400 organizations to support Jewish life, arts and culture, the environment, education and human rights, among other causes. 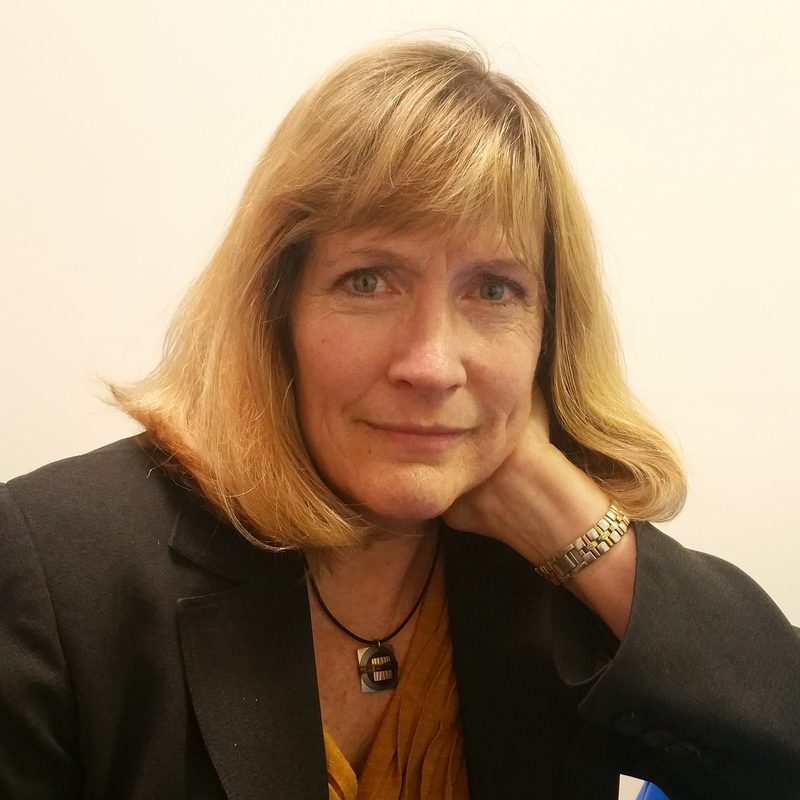 Lauder and Joy Sisisky, the Federation’s philanthropy officer, also announced the launching of the Bay Area Teen Initiative, a multipronged effort to increase Jewish learning opportunities and experiences for local Jewish teenagers. 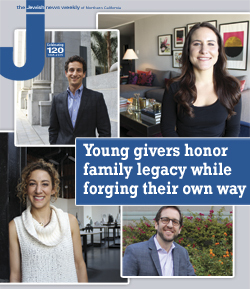 The initiative, launched in partnership with the Jim Joseph Foundation and the Lisa and John Pritzker Family Fund, both based in San Francisco, will complement the Federation’s robust Teen Foundation program, which directly engages teens and their parents in philanthropic activities to build the next generation of Jewish philanthropists. A high point of the afternoon was a hilarious short video honoring — some might say, roasting — Dana Corvin, recipient of this year’s Robert Sinton Award for Distinguished Leadership and a woman who has sat on more boards than seems humanly possible (including, for a time, the board of this publication). Noting that she never had a bat mitzvah, “so consider this my speech, 55 years late,” Corvin praised her mother, philanthropist Adele Corvin, “who never spoke of her work in the community as an obligation,” but showed her children how fun and fulfilling it could be. Then she gamely donned a tiara.